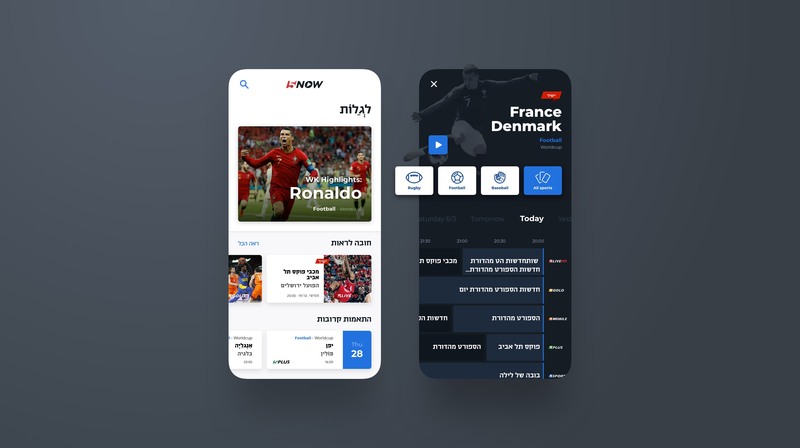 By owning and operating Israel’s leading TV news, sports and kids media brands, R.G.E. Group LTD is the largest media holding company in Israel. One of those brands is Sport5. Israels leading sports brand with more than 5 different channels and 10 on-going original programs. 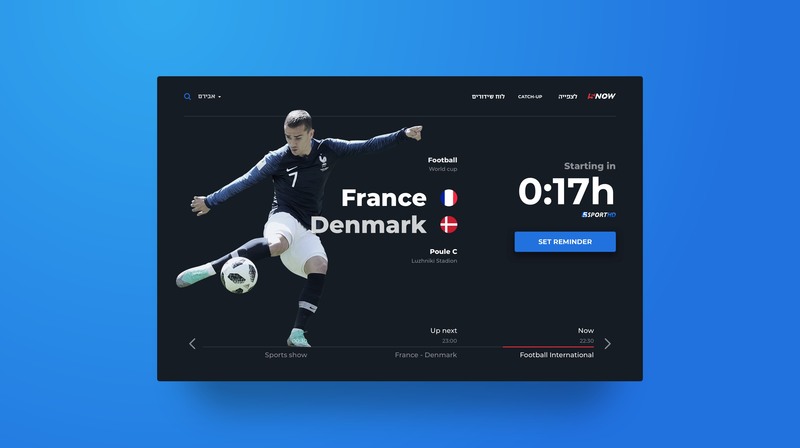 +Drie was asked to take on the Creative Direction and lead the in-house design team at 24/i into delivering a brand new SVOD sports app. 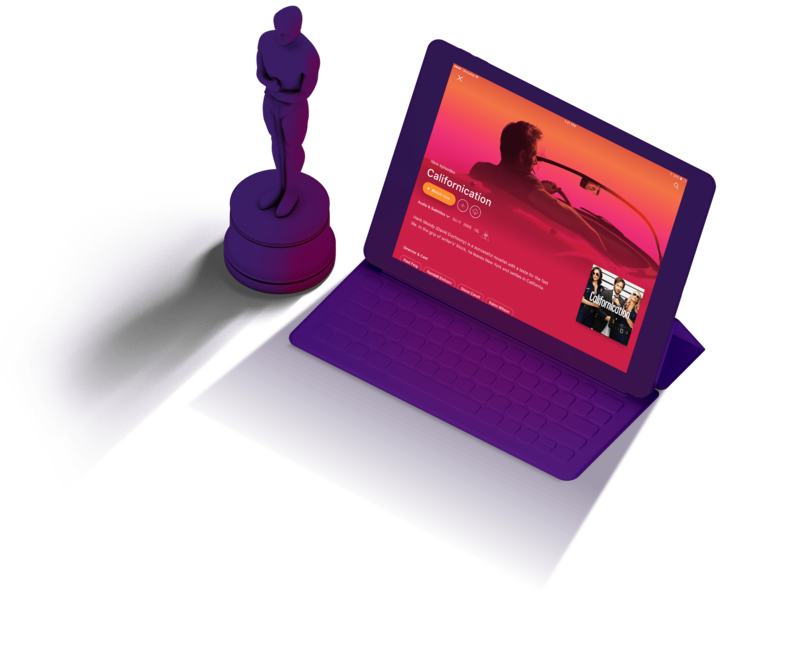 The goal was to provide an intuitive, rich and high-quality discovery and viewing experience which enabled a differentiated user experience to existing pay-tv and OTT content services. +Drie transforms business requirements into highly effective designs, giving the confidence needed to move an idea into a user experience. Working closely with the R.G.E. 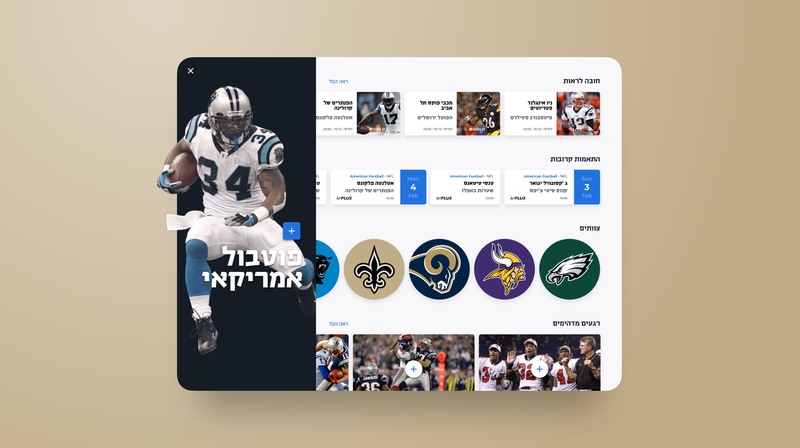 team, we then proceeded in delivering optimized interfaces for Smart TV, responsive web, smartphone and tablet apps through which users can re-watch all their favorite games, tune into spoiler-free live matches and follow Israels most popular Sport related shows. We would love to tell you all about leading an in-house creative team and how we created a unique and addictive SVOD sports experience.